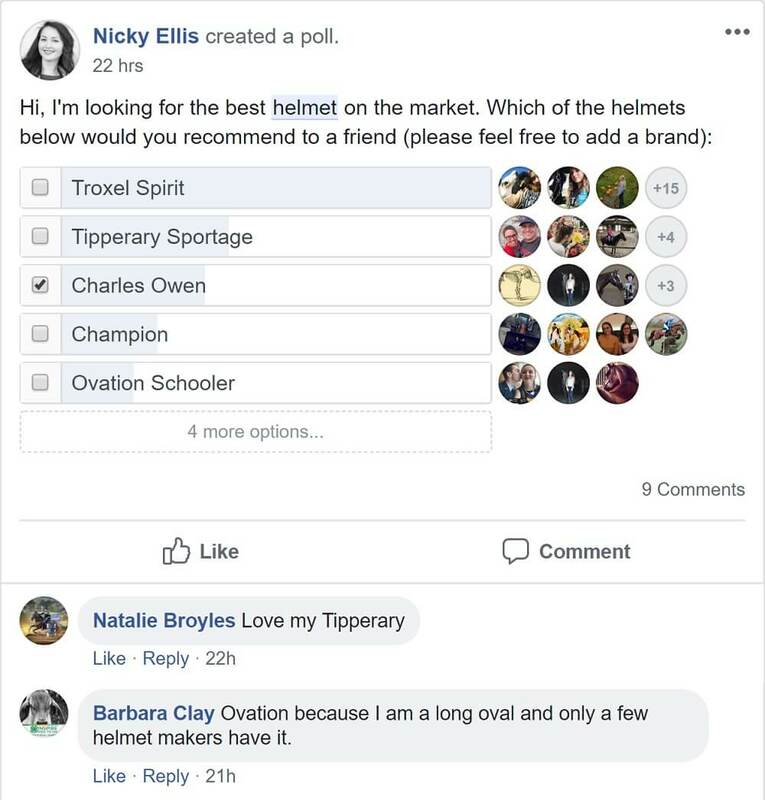 What Is The Best Horse Riding Helmet On The Market In 2019? What Is The Best Horse Riding Helmet On The Market? When you think of riding a horse, your first thought should be safety. No one wants to even think about falling off their horse. It can be a nightmare scenario – but it doesn’t have to be. As long as you have a good helmet that can protect you if you do come off, then you stand a very good chance of walking away with no more than a bruised ego. There’s no denying that horse riding can be a dangerous hobby, so a really good riding hat is absolutely essential. It can quite literally save your life if you come off, so there is no point skimping on cost or quality. This is one item which you should always purchase new, like a baby’s car seat – because if a riding helmet has already had a few knocks then it should be changed for a new one, and you have no guarantee what condition a second hat might be in. 2.1 1. 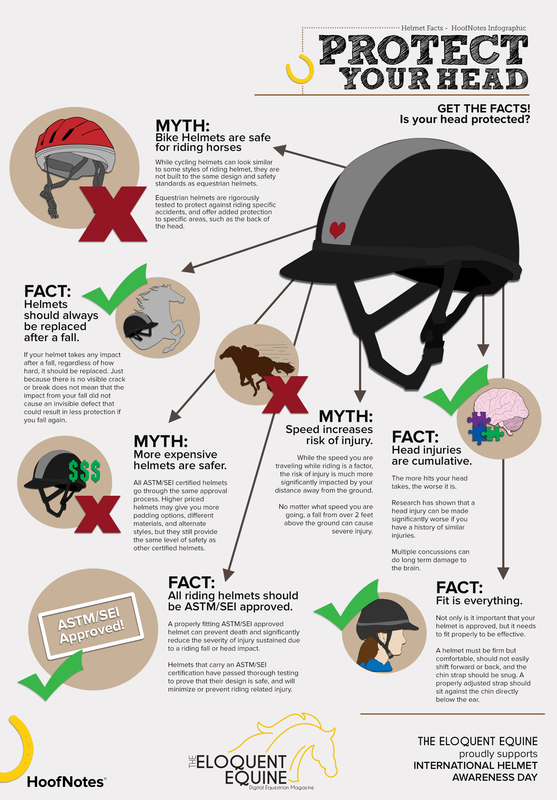 How effective are riding helmets at preventing horseback riding related injuries and fatalities? 2.2 2. Can you go without a helmet for short rides? 2.3 3. 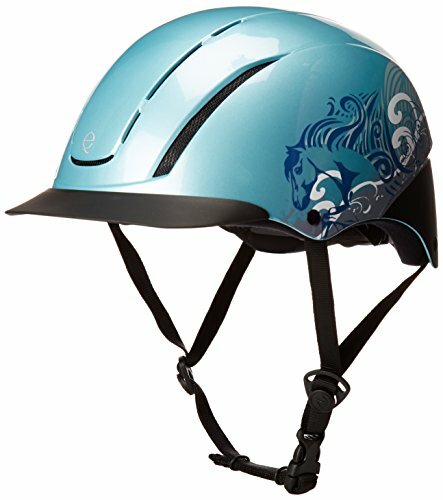 Are there different styles of helmets available for different riding disciplines? 2.4 4. Can you wear a combination sport helmet for horseback riding? 2.5 5. What kind of helmet do you need for showing? 2.6 6. What should riders look for in a safe riding helmet? 2.7 7. How do ASTM/SEI certified helmets work? 2.8 8. Can you share helmets with other riders or wear a helmet provided by a stable? 2.9 9. How do you properly fit a riding helmet? 2.10 10. How should your riding helmet fit? 2.11 11. Is there a workaround you can use if your helmet is too loose or tight? 2.12 12. How do you put on your helmet correctly? 2.13 13. Do all riding helmets fit the same? 2.14 14. How often should riding helmets be replaced? There are a great many riding helmets out there, so you may be asking yourself “what is the best equestrian helmet?” As I sometimes say – it’s the one that fits – different helmets will fit people differently just like saddles, so a rider will need to try on several to find the one that fits the best. This is a lightweight leather helmet that is easy to adjust for a good fit. They are comfortable, come is a huge range of sizes – and most importantly of all, they are safe and effective. Removable washable liner – Although no one likes to admit it, everyone gets a disgustingly sweaty head after a long ride! The fact that the liner of this helmet can be taken out and washed is a huge bonus. Lightweight, low profile – Having a lightweight helmet is a massive bonus, because you won’t feel like you are carrying a huge extra weight, but your head will be protected the best it can possibly be. Good ventilation – Another bonus for preventing an overheated head. Wearing something on your head during a ride, when you lose 80% of your heat through your head, can be uncomfortable. Having a breathable helmet can add so much comfort, meaning you can ride for longer! Great quality helmet – This helmet is constructed from high quality materials and is extremely durable, meaning that, barring falls, it should last you a long time to come. Sizes run small – It may be wise to order a size above what you normally would, as these helmets reportedly err on the small side. For a really good, all-purpose helmet, you won’t go far wrong with this one. It can be used for occasional riding all the way through to serious competition riding, and it will really make a difference if you fall off. Of course, no one wants to think about falling off but it needs to be a consideration! Another lightweight helmet, the Tipperary is made of durable materials that will protect your most vital component (ie your brain!) as well as being comfortable enough to use on long rides or equestrian events. Good impact absorption – In the event of a fall, this helmet would absorb a good proportion of the impact due to its high density ABS material. A very comfortable helmet – With the contoured drop back shell and contoured foam interior, this is a very comfortable helmet. Ideal for long, arduous rides! Ventilation for temperature control – This helmet has top and rear vents to allow as much air flow as possible, giving your head a chance to breathe and preventing overheating. Can be customised – The helmet comes with a selection of pads that can be removed or changed about, meaning that you can make it fit your head perfectly for maximum comfort. Longevity is questionable – Some users have stated that the helmet is not suitable for long term use, as it starts to experience more wear and tear than you would expect. A comfortable, lightweight helmet that protects your head is the most important part of going for a ride, whether it’s a half hour jog or an all day trek. The Tipperary ticks all the boxes – it is well made and comfortable, and will protect you in the instance of a fall. Plus, it comes with a built in reflective strip on the back, so you can be easily visible on the roads. This low profile riding helmet is ideal for younger users, or those with smaller heads. It’s a good budget helmet, making it ideal for those who are buying multiples, for example for a riding school. Meets safety standards – A must for a good riding helmet. Riding helmets are rigorously tested for strength and safety, so you must find one which meets ASTM/sei certification, which this one does. Dial fit system – This makes it easy to adjust the sizing of the helmet, adding to the overall user comfort. Low profile – For those who don’t want to look like mushrooms while they are riding, yet still have the same level of protection, a low profile helmet is essential. This one is low profile yet safe – all the boxes are ticked! Comes in a range of colours and designs – It can be important, especially for the younger rider, to have pretty accessories. The Spirit is available in a wide selection of colours, some with images too, which can really appeal. The sizing can be on the large side – Some buyers have suggested that the sizes run large, meaning that it can be hard to achieve the snug fit that is desired. This is a highly functional, safe riding helmet. It is marketed towards the younger rider, but it also comes in adult sizes, so it is suitable for all – especially people who like a pretty riding helmet! This is a fantastic riding helmet that offers a good degree of protection. It is well made and durable, and is suitable for general riding, hacking, show jumping, pony club, and just about anything else you can think of! It is comfortable enough to wear for a long time, and won’t pinch or overheat your head. Four discreet ventilation holes – This allows your head to breathe so you won’t up hot headed and sweaty. The fact that they are discreet holes is another plus! Trimmed in microfiber suede – This not only adds to the lifespan but it looks incredibly smart. Comes in its own carry box – No more worrying about your hat banging around loose in the back of the trailer; keeping it contained in its own specially designed box is the best way to keep it safe. Kitemarked to PASO15:2011 – Making sure your hat meets the current safety regulations is a no brainer. This one is kitemarked so you can be sure of its credentials. Sizes run a bit big – It may be sensible to buy a smaller size then you are used to, to avoid disappointment. That being said, you can always return it for a different size if your purchase doesn’t fit. If you’re looking for your next hat and want it to be a good all rounder, that is comfortable and offers good protection in the event of the unthinkable, then this is a great option. It is a relatively inexpensive helmet that looks professional and does exactly what it’s meant to. A truly sophisticated riding helmet, the IRH Elite is a one of a kind. Finished in matte suede for that stylish look, it also offers fantastic protection. The shape is designed to fit your head snugly, and there is an additional harness for the back of your head, so you won’t have to worry about it riding up your head or slipping about. It is light enough to be comfortable – There is nothing worse on a long ride than getting a sore neck from the weight of a heavy helmet. This one is light as a feather so you will barely notice it. Ventilated for comfort – Ideal for those long rides, or outing in the height of summer. Getting an overheated head is far from comfortable, so having these ventilation holes makes the riding experience much more pleasant! Suede finish hides scuffs and marks – If you have a new shiny helmet, you may end up dismayed at how short a time it actually looks new and shiny! The suede finish is very forgiving, and can hide the odd scuff. Offers great protection – This is the ultimate requirement for a riding helmet. Will it protect your head in the event of a fall? The answer with this one is definitely yes – in fact, some users have gone so far as to say it’s a life saver. It’s quite expensive – As we all know, you pay for quality. This is not a budget helmet, but then who wants a budget helmet that might not protect your head properly? 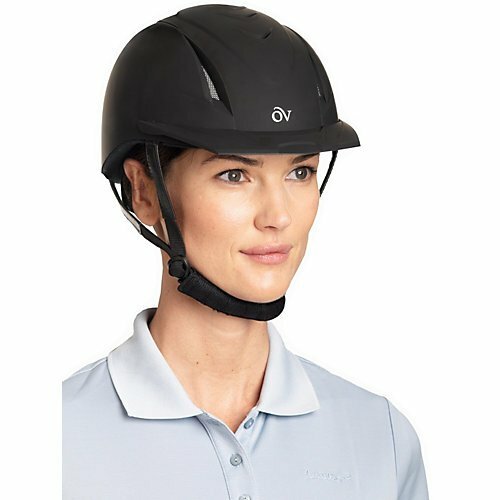 A professional, high quality riding helmet that will do what it’s meant to do in the event of a fall, and will look stylish and feel comfortable at the same time. What more could you possibly ask for in a riding helmet? If you are looking for your next favourite helmet that you can wear for any discipline, then this is the one for you. 1. How effective are riding helmets at preventing horseback riding related injuries and fatalities? The fact of the matter is, a rider with a good helmet is 80% more likely to survive a serious fall or accident and avoid injury. 2. Can you go without a helmet for short rides? No! You can fall off or be thrown from a horse standing still in its stall if something happens to startle the animal. You should put your helmet on securely every time you mount up. 3. 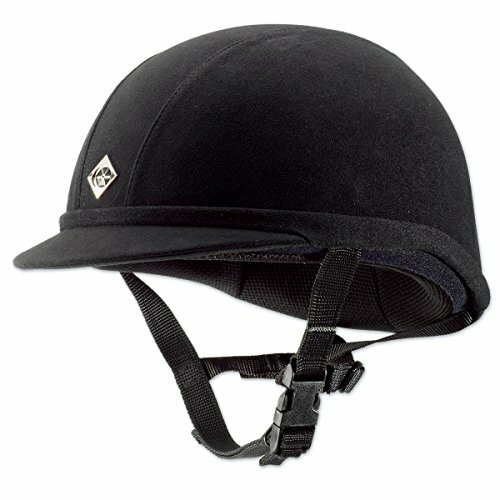 Are there different styles of helmets available for different riding disciplines? Yes, there are many different, attractive styles especially designed for English, Western, jumping, polo and other equestrian activities. 4. Can you wear a combination sport helmet for horseback riding? A properly designed and certified combination sport helmet is fine for everyday riding, schooling and training. 5. What kind of helmet do you need for showing? If you show your horse, you can either purchase a dress helmet or buy a velvet cover to put over your everyday sport helmet. 6. What should riders look for in a safe riding helmet? Always look for the ASTM/SEI certification label. This is your guarantee that the helmet you are purchasing has passed a series of rigorous guidelines set forth by the American Society for Testing and Materials and the Safety Equipment Institute and is capable of shielding your skull from impact injury. 7. How do ASTM/SEI certified helmets work? These helmets are designed with several layers of bubbles of air between the inner and outer surfaces. These bubbles work to mitigate the force of a blow and reduce damage to your skull if your head hits a hard surface. 8. 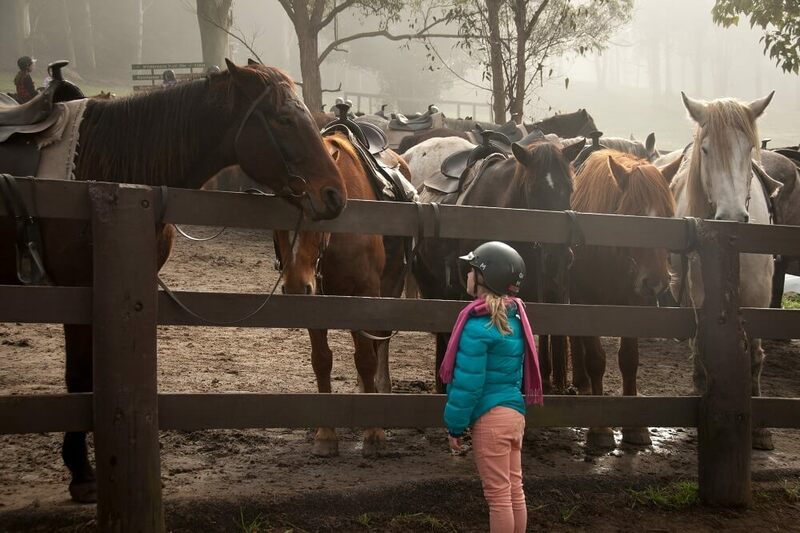 Can you share helmets with other riders or wear a helmet provided by a stable? Apart from the fact that sharing headgear is never a good idea in terms of hygiene, sharing safety helmets is also a bad idea in terms of fit. It is very important that your helmet fit your head properly in order to do its job correctly. It is far better to have your very own, especially fitted helmet. 9. How do you properly fit a riding helmet? Use a dressmaker’s tape measure to measure the circumference of your head one inch above the eyebrows. Round the resulting measurement up by a half an inch. Use this measurement to determine your helmet size. 10. How should your riding helmet fit? Your helmet should fit firmly on your head without shifting backwards or forwards. It should cover your entire head, including the back. There should be a little bit of air space between the top of your head and the inner surface of the helmet, but the helmet should fit closely and comfortably all the way around. 11. Is there a workaround you can use if your helmet is too loose or tight? No. If your helmet does not fit you perfectly, don’t wear it. Go up or down a size to get the perfect, safe fit. 12. How do you put on your helmet correctly? When your helmet is properly in place, the brim should be about an inch and a half above your eyebrows. If it is any lower, your helmet is too loose, and the brim might interfere with your vision. If it is any higher, you will not get complete coverage for safety. Once your helmet is properly settled, remember to fasten your chin strap firmly to keep it in place. 13. Do all riding helmets fit the same? No, be sure to read your user’s manual and follow all instructions for the best and safest fit. 14. How often should riding helmets be replaced? Because safety standards are constantly being updated, it is wise to replace your helmet every 4-5 years. Even if it has no damage, an older helmet may not be compliant with current ASTM/SEI safety standards. Riding without a helmet is never a good idea – in fact I would go as far to say that you would be very stupid if you did; accidents can happen even on the quietest, most well behaved horse. Comfortable riding boots and a nice horse saddle pad are great things to have, however, you must invest to get yourself a decent helmet, no question. If you are looking for a high quality, well made helmet for frequent use then go for the Ovation Deluxe Schooler Helmet. 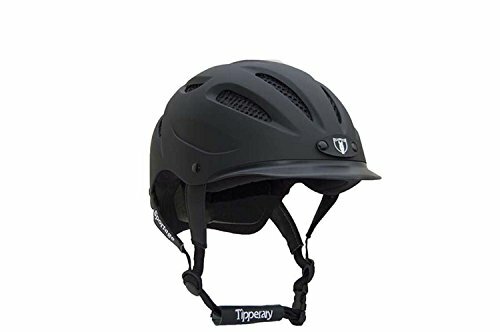 If you are after a comfortable, safe, high performance helmet then the Tipperary Sportage Equestrian Sport Helmet is the one for you. 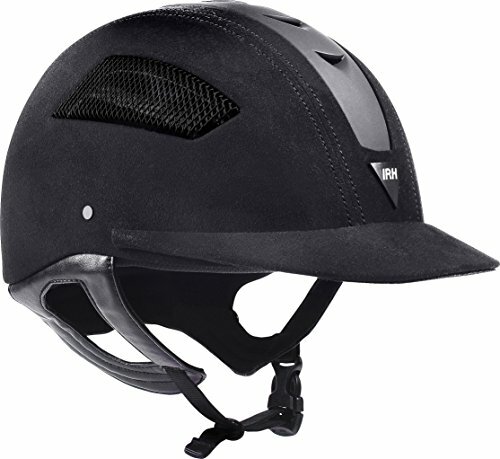 For those looking for an attractive, budget helmet that also does its job if necessary, the Troxel Spirit Performance Helmet should be perfect. If you need a good all rounder, that is comfortable and offers good protection, then Charles Owen jR8 Helmet is an excellent option. For a professional, high quality riding helmet that you can wear for any discipline, try IRH Elite EQ. Thank you for the tips Sam! All of these helmets are a perfect fit for someone that wants to add safety to their horse riding hobby!